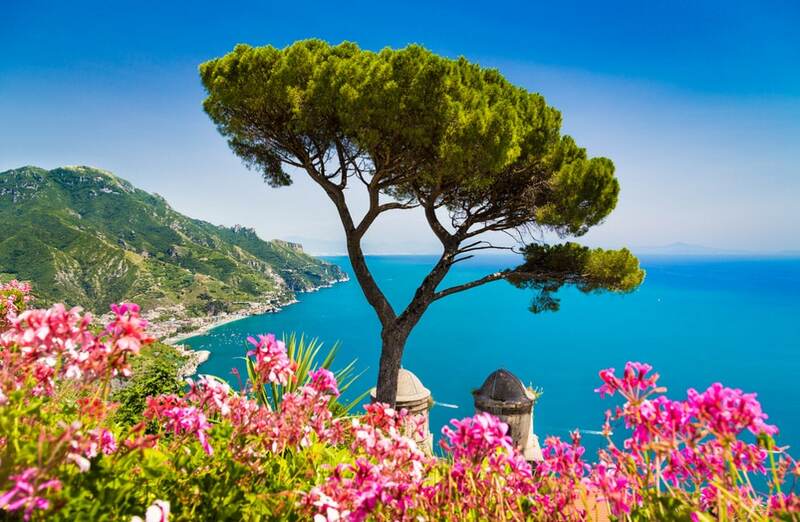 Italy never disappoints – with its stunning sceneries and beautiful little towns and villages, it is one of the most popular countries to visit. 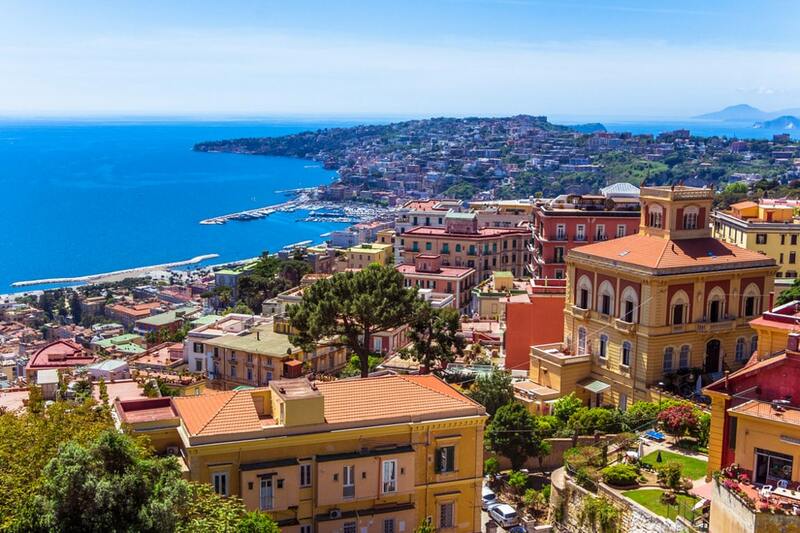 If you could visit only one country in Europe… it probably should be Italy. When my cousin and I talked about a road trip Italy, we immediately came up with the typical suspects to visit, like Rome and Venice, but we knew there must be many hidden gems that we would miss out. So, I did further research and there are so many lesser-known destinations in Italy that are worth visiting! 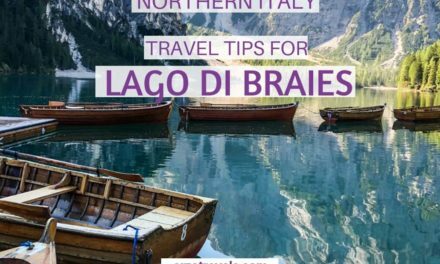 If you are planning a trip there, you´ll know which places to add to your Italy road trip/Italy vacation and find out activities to do in Italy. If you are looking for general tips before visiting Italy, check out my post on things to know before your Italy trip. Travel bloggers share their favorite places in Italy. Find a list of the best spots to visit in Italy – you´ll be finding some hidden gems along with the more well-known destinations. The five villages of the Cinque Terre are spread across the coastline of the Ligurian Riviera. Cinque Terre is one of those postcard-like destinations with colorful houses and narrow streets, surrounded by olive groves and vineyards and thus one the best places to visit in Italy. The easiest way to get around in Cinque Terre is by train where each station is only 5 to 10 minutes away. The most scenic one though is either by boat or on foot. There are hiking paths that connect all the villages with dramatic views of the sea. If you are coming to Cinque Terre from La Spezia, the first village you will see is Riomaggiore. While there don’t forget to check out the Church of San Giovanni Battista, the Sanctuary of our Lady of Montenero and the castle. The next village is Manarola – things to see in Manarola are the small port and the church of Saint Lorenzo with the watchtower. From Manarola also starts the most popular trail of the Cinque Terre called Via dell Amore from where you can reach Riomaggiore in just 20 minutes. The next village is Corniglia, the only of the five that doesn’t have a harbor. Nevertheless, it has beautiful cobbled streets, great views over the other villages and the best gelato shop. 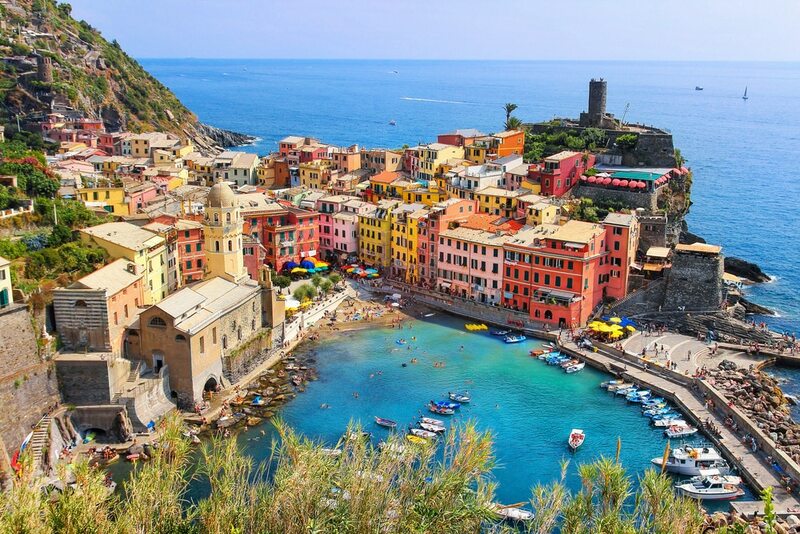 Your next stop should be Vernazza the most beautiful village of the Cinque Terre. It has a beautiful harbor and many narrow streets. One of them leads to the castle from where you can admire breathtaking views. The last and biggest village is Monterosso al Mare. It has a large promenade and a big sandy beach. Other things to see in Monterosso include the statue of the Giant that represents Neptune and has become the symbol of the town and the San Francesco Church that holds important paintings by Van Dyck. A trip to the Cinque Terre is one of a lifetime experience you cannot miss – find out more travel tips for Cinque Terre here. 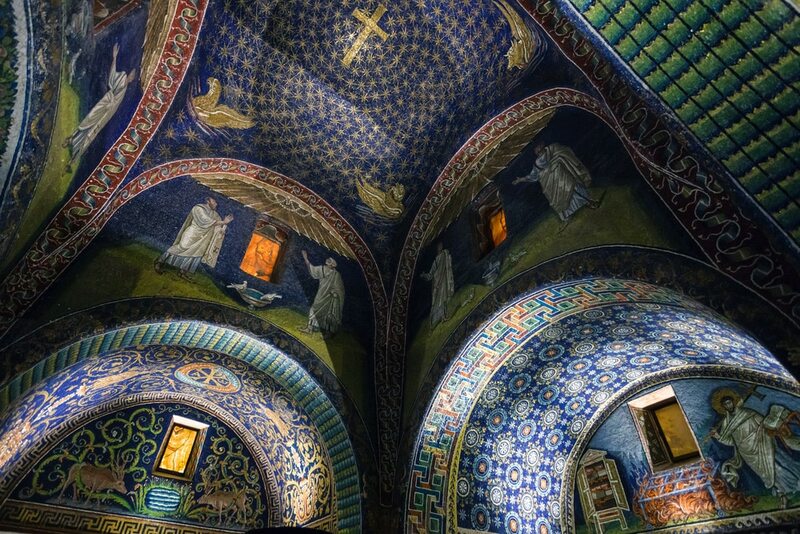 Ravenna is one of Italy’s historic cities with 8 buildings inscribed on the UNESCO World Heritage list. It is a small town with lots of charming streets and great food like piada flat bread, sold from hole-in-the-wall shops. But the main reason to visit is the selection of fantastic mosaics. From 402 to 476 Ravenna, and not Rome, was the capital of the Western Roman Empire and that is one of the reasons why this city is so special. Even before this period, it was always an important and rich harbor town. While the sea has now moved more than 10 kilometers, the treasures of those times have been well preserved. One of the best places to visit is the Mausoleum van Galla Placidia. From the outside, it is a small, uninteresting building, while inside it is filled with colors. The interior of the mausoleum is covered with rich Byzantine mosaics depicting the stars and the sky. The only light enters the room through alabaster window panels. Just next to it is the Basilica San Vitale, another one of Ravenna’s gems. Part of the church is also covered in colorful mosaics, with depictions of scenes from the Bible and from live in the Byzantine period. This is the kind of place where you can just take a seat and look around and continue to find new interesting details. Known for its airport and its promixity to Milano, Bergamo is actually one of the prettiest cities in Italy. Whether you spend your time at Citta Alta (Upper Town) or Citta Bassa (Lower Town) – both areas are lovely and beautiful. The upper part might be home to a few more attractions though – whether you visit the Piazza Vecchia with the stunning Piazza Duomo, climb the steps of the Campanone Tower, or walk the Venetian Walla and overlook the pretty city and nice scenery. 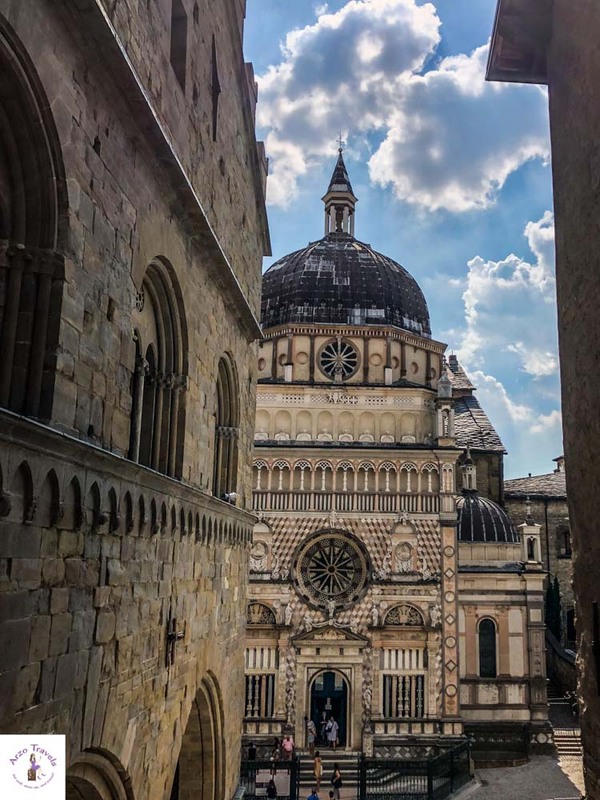 Though Bergamo might be small and lesser known that Milan, it is definitely worth a trip and you can enjoy a hidden gem of Italy. Find more pictures of Bergamo and more Bergamo travel tips here. Another Italy destination to see is Florence, or Firenze to the locals, is the capital of Tuscany, in central Italy. Florence is undeniably beautiful and an exquisite area to visit. 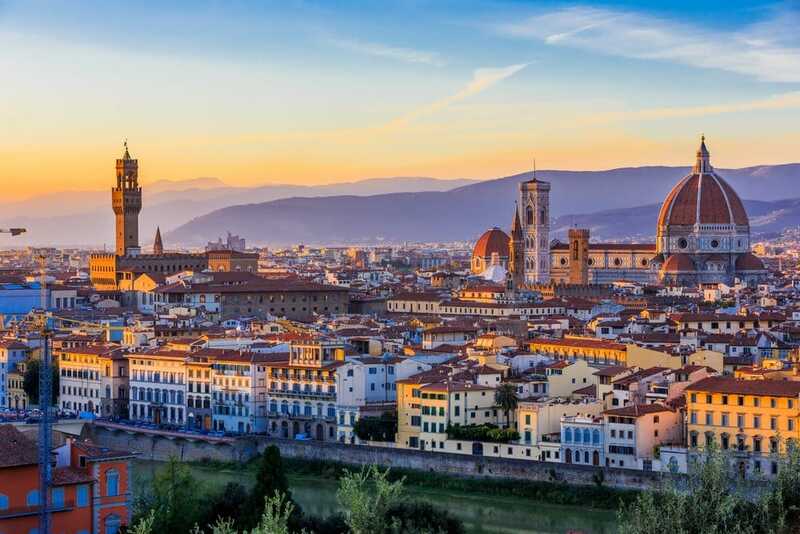 Unsurprisingly, Florence is one of the most visited places in Europe. When in… Florence you must see art! There are over 60 art galleries and museums in Florence. The most famous gallery is arguably Galleria dell’Accademia. Here you can see Michelangelo’s David and his other works. Uffizi Gallery is another gallery well worth a visit! Works from Leonardo da Vinci, Michelangelo, Bargello, Giotto, Raphael, Rembrandt (and so on) are housed here. It is a good idea to pre-order your tickets. During the summer high-season months of June and July, people wait in line for up to 5 hours to get a ticket! To enjoy famous art without 127490 other friends the Bargello National Museum is a great option. The historic center of Florence is a UNESCO World Heritage Site. 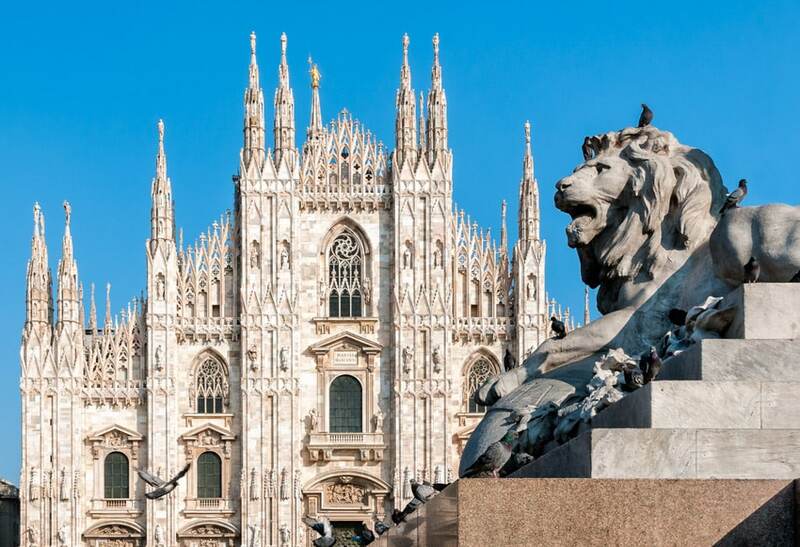 The Piazza del Duomo or Cathedral square is the most iconic sites when you think of this area. The three structures that form the cathedral complex are all beautiful. The real beauty is inside the cathedral (Cattedrale di Santa Maria del Fiore). The paintings are exquisite and the dome itself is a sight to behold. Check out my Florence itinerary. Lake Como, located in the northern part of Italy, close to Milan and the Swiss border, offers many reasons to add it to your Italy itinerary. While I admit that Como, the main town at Lake Como, is not my favorite place, I recommend visiting Bellagio, the smaller town at Lake Como, to have the best experiences and to find out why Lake Como is so extremely beautiful. Bellagio, with its famous, cobbled stairway is a must-see place, and you should do a trip to the mountains when at Lake Como. To have a gorgeous mountain view while dining (affordable food), check out Trattoria Baita Belvedere. More interested in spotting celebrities, or at least houses of celebrities? To see George Clooney´s house, hop on a boat tour on Lake Como – also the best place to chill on a hot summer day at Lake Como. In Como, you can visit Brunate, a small village on the mountain with great views over the lake and Como. Strolling along the lake is another must-do activity for that region. To read more about things to do in Lake Como click here. More ideas on where to go in Italy…. There is no place like the Dolomites – the mountain range in the northern part of Italy are one of the most unique places to visit in Italy. Whether you are looking for breathtaking mountain views, gorgeous lakes or cute towns – the Dolomites region has it all. The lakes here play in a different league – and while they aren’t big as Lake Garda or Lake Como they are surely just mind-blowing! 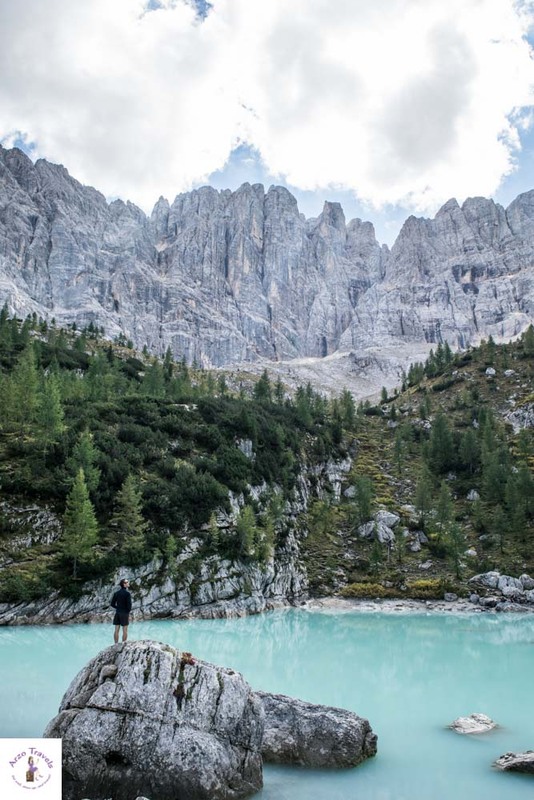 Lago di Sorapis, Lago di Braies, Lago di Carezza are just a few of the stunning lakes and if you think you just need 2-3 days to explore the region I am sorry to disappoint you – this region deserves at least five days of your time. This way you make sure to see the best of the Dolomites! Many people do not know but in Tuscany you will find four natural hot springs. 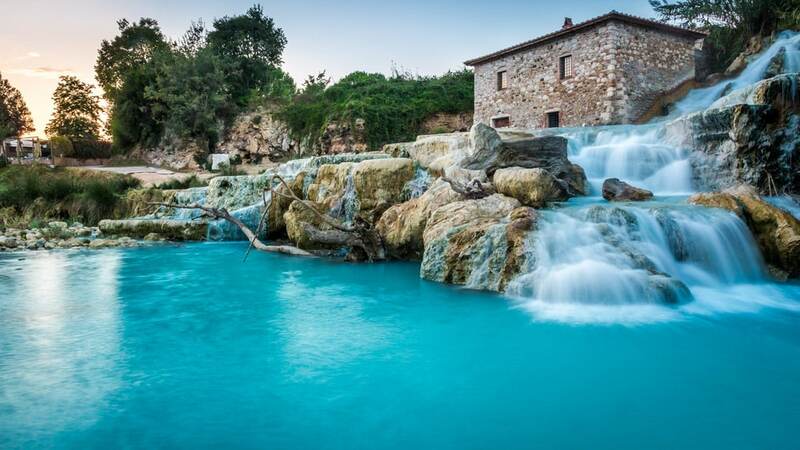 One of them, Saturnia’s hot springs, is free of charge to the public. The water of the thermal baths has a constant temperature of 37 degrees Celsius, so it has a therapeutic and relaxing effect on the body. The thermal baths of Saturnia originated in the second century BC. According to an ancient legend, the hot springs would originate as a punishment of the god of Saturn. The hot water comes from various sources ranging from Mount Amiata to the hills of Albenga and Fiora to Roselle and Talamone. Well-being in the heart of Tuscany’s pristine nature. Once you reach Saturnia, follow the ‘Strada Provincial Follonata’ towards Montemerano. At one point you will see the waterfalls of the hot spring on the left side of the road in the middle of the valley. 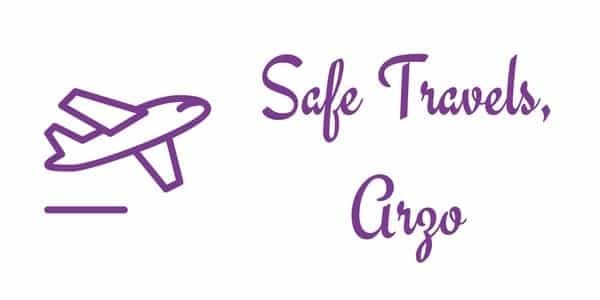 Do you travel by public transport? The nearest train stations are Albinia and Orbetello. From there you can travel by bus lines 10 and 17 to Saturnia. Hotel tip for Saturnia: Hotel Terme di Saturnia is a Spa & Golf Resort near Saturnia’s hot springs. There are also umpteen small towns and villages to choose from along the lake’s coastline where I would personally go for the picturesque town of Limone or Sirmione. Sirmione is found on a dividing peninsula on the southern shoreline of Lake Garda, and it is definitely one of the livelier destinations, which can be a bit busy and touristy in the busier months. But it is also convenient for travel to and around Lake Garda, with numerous carparks at the entry of the peninsula, along with boat and ferry services to explore the various towns and villages of the lake. There is plenty to do in the small town itself, which sits snug between the walls of a castle and Roman ruins, and pedestrianized streets are lined with authentic ristorantes, pizzerias, and gelaterias to keep you excited for a long stay. The main port of access would be from Verona where direct buses leave hourly to Sirmione, and Venice can even be reached on a day trip, as well as Milan, so it is easy to reach. P.S. 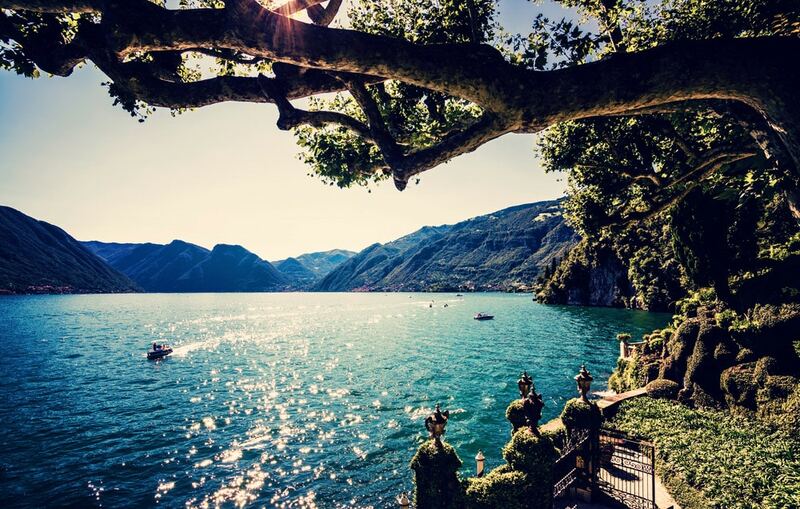 Here is a post with the most beautiful places to visit in Lake Garda. 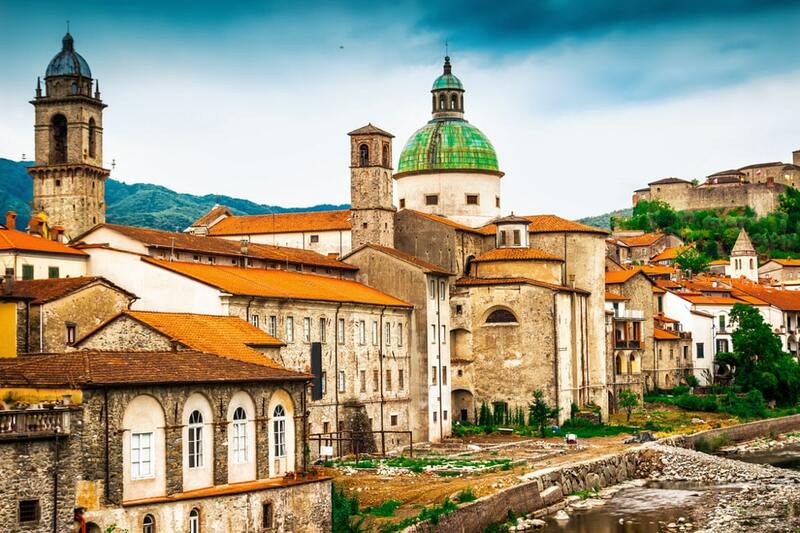 Hidden away in the northern tip of Tuscany is a beautiful green valley that hosts the charming ancient town of Pontremoli. It is a town of bridges (ponti) that cross the two rivers converging there – the Magra and the Verde. Come into Pontremoli on the train or by car, and you will soon arrive at the ancient piazza in the middle of town. Walk through the narrow lanes and you will find a bridge. As you walk over the bridge, look down at the river, and then up at the castle overlooking the town. If you are a hiker, take time to hike on the Via Francigena, an ancient pilgrim road that led from Canterbury all the way to Rome. If you love history, walk up to the castle and check out the museum, which is full of mysterious statues from over 4000 years ago. And if you love books and writers, check out the annual “Bancarella”, which is a literary festival and book sale that takes place every July. You should also hit the markets, every Wednesday and Saturday mornings, in the “old Piazza” and the “new Piazza”; on the third Sunday of the month there is an antique and craft market. But mostly, come to Pontremoli to breathe. This is a town that is stunningly beautiful, yet it makes you feel “at home”. Two lovely places to stay in Pontremoli: Il Glicine e La Lanterna, a family-run spot just outside of town (but an easy, safe and beautiful walk); or Ai Chiosi, also family-run. One day on the Amalfi Coast and a day trip to the island of Capri was enough for to fall in love with this part of Italy. That initial “love at first sight” continues nearly twenty years and many visits later. On Capri, I stayed at an oddly named hotel, Hotel Weber Ambassador that provided free shuttle service to the center of town but otherwise was quite private on the island. The views of the Fraglioni Rocks that I woke up to each day and dined with each night were amazing. During the day, I rode the local orange bus to Anacapri to float up in the clouds on the chair lift (fee) to another viewing point. The incredible views of the island are stunning and the serenity of the ride so very welcome away from the crowds. After waving to locals in their gardens below, I then weaved my way through the neighborhood on another local bus along the coastline to the steps leading to the Azure (Blue) Grotto. The uniqueness of this experience is still magic to me with every visit. Shopping is expensive on the island but creating your own perfume is quite the treat and worth the splurge. From Capril, I also took the ferry to visit the Amalfi Coast for a photo safari. With multiple viewing points to stop along the way, both my eyes and my camera were full of stunning views, each seeming to be more beautiful than the one before. We would stop at the famous and luxury hotel, Le Sirenuse, for me to do a quick lobby and patio tour (dream hotel for the future) before continuing to Ravello and the Villa Rufolo. A visit to Capri should definitely be on your itinerary for more than one day. Is romantic Venice only for lovebirds? Definitely not. Venice is one of the most beautiful cities in Europe, and with its colorful houses and many canals, gondolas, and bridges, everybody will fall in love with Venice. The historic buildings and beautiful piazzas make Venice a must-see city, and it is no surprise that it is one of the most popular destinations in Italy. Though Venice is not a hidden gem, you can still enjoy quieter days if you do not travel during peak-season in the summer. Getting lost in the narrow streets of Venice is one of the best things you can do there. 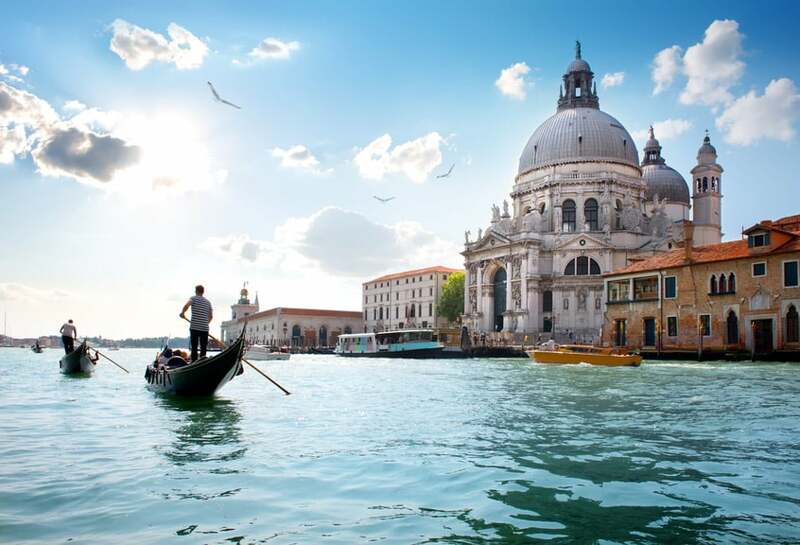 Souvenir shopping near Rialto Bridge, or admiring the stunning architecture and buildings, like the Basilica di San Marco, are more fun things to do – and if you like to be a real tourist, definitely enjoy a gondola ride. Find out more about things to do and see in Venice and click here. If you are visiting Venice you cannot miss visiting this colorful little island in the Venetian Lagoon north of Venice in Italy. 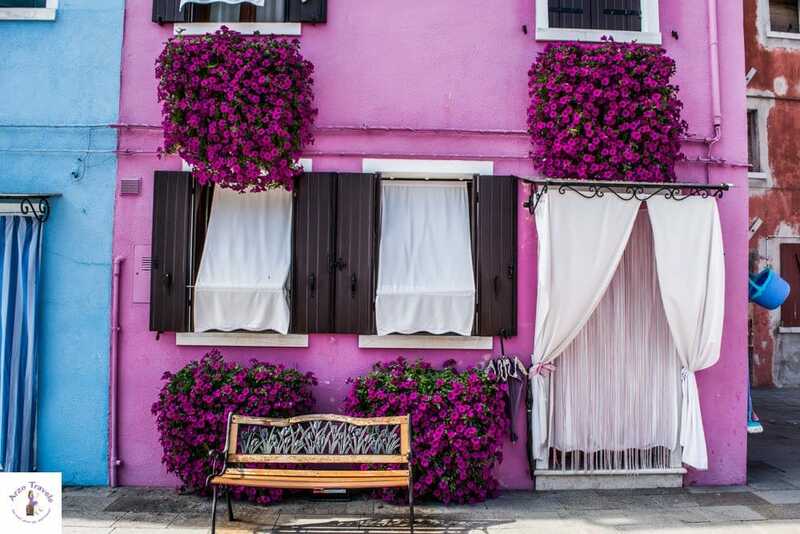 Burano is a popular tourist destination for its bright candy-colored houses and windows overflowing with colorful flowers which look like they are straight out of a fairytale. The tradition of coloring houses which started ages ago when fishermen colored their houses to be recognized from the sea has remained same until this day. Burano is also famous for lace goods there are numerous shops on the island which sell locally handcrafted lace goods. During the summer you may also find old ladies sitting in front of house and weaving laces and they may even lend you some lace making tips. Also must visit on the island of Burano are the 16th century Church of San Martino with a leaning campanile and Museo del Merletto the museum for the history of lace making in Burano. Burano along with the neighboring glassmaking island of Murano and the island of Torcello make one of the best day trips from Venice. Unlike many of the popular tourist destinations in Italy, Naples has been relatively immune to the influx of tourists despite its proximity to Pompeii. That gives it a unique charm, and I think allows visitors to get a closer appreciation of real life in an Italian city. 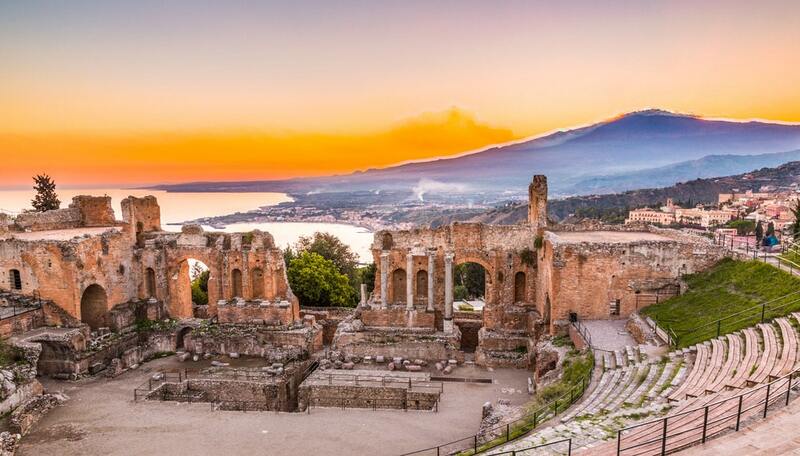 As well as being the perfect location to explore the famous Pompeii ruins, climb Mount Vesuvius and enjoy the coastline of Southern Italy it’s also got plenty of its own things to see and do. The Naples Archeological Museum is a vast attraction, full of many exhibits that explain life in Italy and Naples. It also holds many of the objects from key archeological sites like Pompeii for their protection, so it’s worth combining with a trip to the ruins. The Cattedrale di San Gennaro rises tall above the tiny side streets filled with mopeds, a wonderful example of gothic architecture and free to enter. The most fascinating place to visit might be Napoli Sotterranea, an incredible underground tour 40 meters below ground and the foundation of Neopolis from 2400 years ago. For 10€, you’ll see a Greek-Roman aqueduct, WWII bomb shelters, and the remains of a Roman Theatre and get an insight into Naples from an archaeological, historical, anthropological and geological point of view. The only thing left to do is pick your dinner location, and Naples is packed with great food to sustain your sightseeing. Neapolitan pizza is an art form. Just don’t get upset if the pizza back home is not quite the same! Sometimes I think I am on a one-woman mission to change people’s attitude about Milan. The city is often thought to be grey, boring and business-like, with nothing much to do besides shopping and visiting museums. Nothing could be further from the truth! There are so many places to see in Milan, and the most interesting ones are away from the center. With so many people recommending the usual Milan places like Duomo, Navigli and Galleria Vittorio Emanuele, this time I’d like to share with you three of my favorite, unusual Milan destinations! One of my favorite neighborhoods is Isola, not far from Garibaldi station. I love it because it still managed to retain that ‘Old Milan’ atmosphere that my grandmother often told me about, combining it with modernity – you see traditional family-run shops right next to street art pieces and ramen shops, for example. Another place I love, not far from Isola, is Chinatown – this area, traditionally home to the Chinese community, is now becoming a vibrant creative and multicultural hub. Finally, there’s another place in Milan I really love, that I often go to when I am looking for peace and quiet – Cimitero Monumentale. It’s Milan’s most beautiful cemetery, a real open air museum. Looking for another Italian hidden gem? Then head to Northern Italy and visit the stunning and authentic city of Trento. I had never heard of this town before but the minute I set foot in the old town of Trento I was in love. 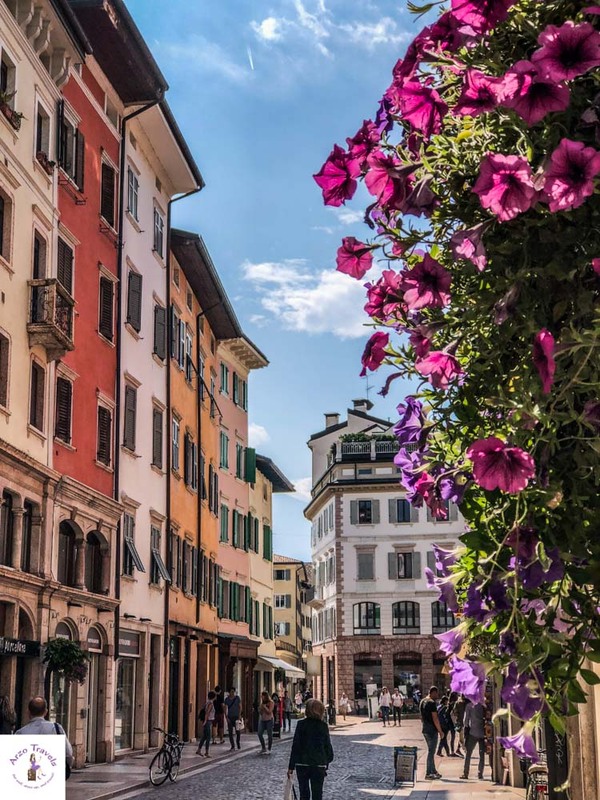 Hardly any other city fel as authentic as Trento- stroll the pretty old town with the many colorful and pretty buildings, enjoy views from the mountains close by and enjoy La Dolce Vita in Bella Italy. While you will find a few other visitors, it is still not overrun – a perfect place for people who look for more off-the-beaten paths in Italy. If you are in Italy, you cannot miss out on this pearl. 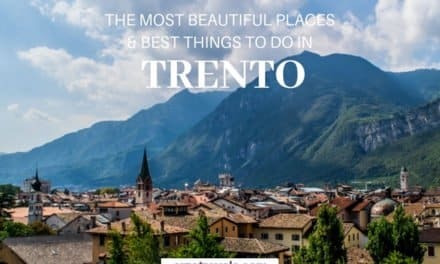 Find out about the best places in Trento and Trentino here. Montepulciano is a gorgeous Medieval hilltop town in the Southern Tuscan province of Siena. Only two hours Northwest of Rome, and one hour 30 minutes South of Florence we believe it should be on every traveler’s Italian itinerary! A must-see in Tuscany. The best way to see and eat the best of Montepulciano is to stroll its main street, Il Corso. It stretches almost one mile from the bottom at Porto al Prato, a two-story imposing stone archway to the Piazza Grande and the Duomo, at the very top of the hill. A highlight is the street is delightfully car-free. Stunning facades with the most beautiful doors, and inviting shops filled with Murano Glass, ceramics, and many other Italian treasures line the cobbled walkway. Duck into Ristorante La Briciola at the beginning to enjoy an unforgettable pasta lunch to fuel your assent. After that, begin your climb pausing regularly to take in the breathtaking vistas. Watch for La Botegga Di Pinocchio– a treasure trove filled with all things Pinocchio! Explore the exquisite selection of art galleries, and artisan shops. You’ll be rewarded when you finally reach the summit, the Piazza Grande. Take the stairs to the top of The Town Hall for sweeping views of the historic town and stunning surrounding area. 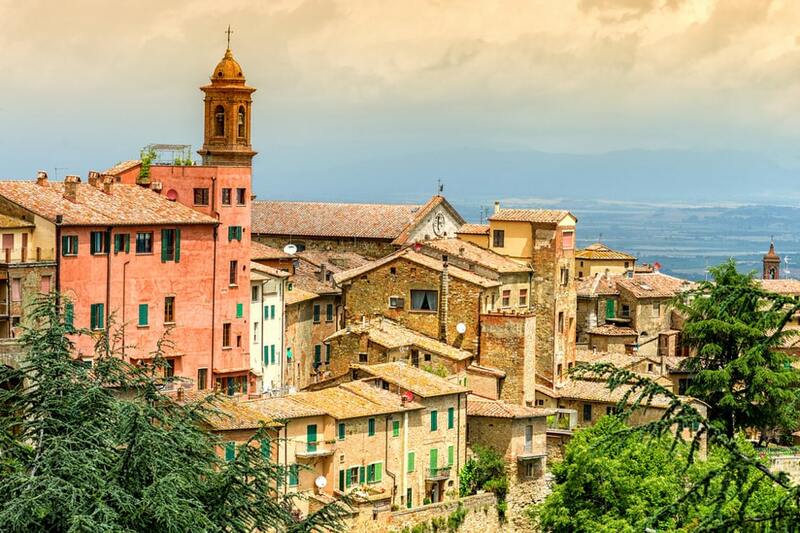 Montepulciano is a perfect destination for a day trip from Rome, Florence, or Siena. To make the most of your time, don’t plan too much- let the sights, sounds, and smells guide your way on Il Corzo. But be aware of the time- businesses typically close from 1:30 pm to 3:30 pm for riposo (Italian siesta). 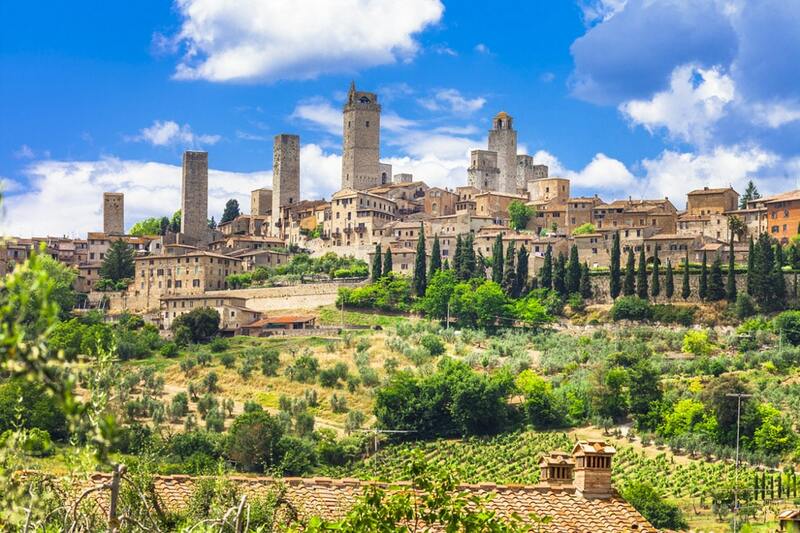 A small village in Tuscany, San Gimignano is that idyllic place that would make you want to rent a villa and stay there for a long, long time. The lush green vineyards spread over the picturesque countryside landscapes are a photographer’s delight. As you enter the town, you are welcomed with flowers mushrooming out of nowhere on both sides of the cobbled streets and quaint houses with windows adorned with flowerbeds. Cars aren’t allowed in the main center, which is a delight as you can walk at ease and see the stone towers built around the Piazza akin to castles! It is like each tower is competing with the other! The walk on the streets reminds you of being in a medieval village straight out of a fairy tale and all the gothic architecture is proof of that! Walk around the Main square of the city, the Piazza Della Cisterna: The area is full of lovely shops selling ceramics and hand-made soaps. Visit the Museum San Gimignano 1300: which showcases a brilliant ceramic representation of how the town looked in the medieval ages. Taste gelato at the famous Gelateria Dondoli (which serves innovative gelato flavors), indulge in a wine tour with the Vernaccia Wine Museum and sample the local biscotti! Being a vegetarian, I gorged on sumptuous salads at Ristorante Pizzeria under the Tuscan sun with a view of the vineyards! This one day trip from Florence was definitely a highlight of my Italian explorations! 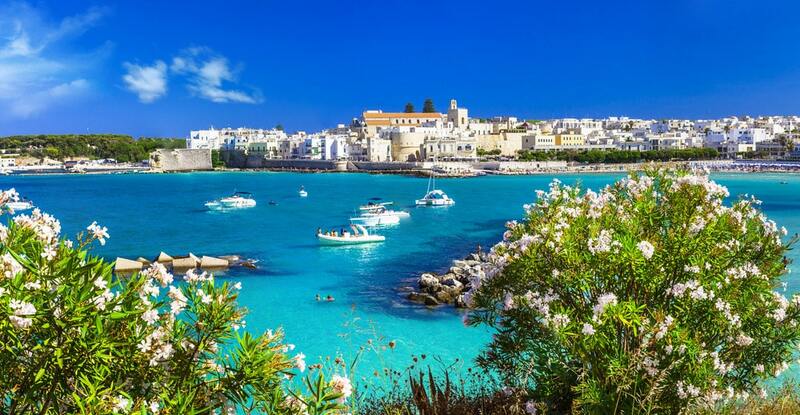 Otranto is found on the coast in the region of Puglia and is an Italian gem. Stroll around the fortified old town, swim in the crystal clear ocean and stop for gelato while watching the world go by. My favorite things to do in this area include Grotta della Poesia, a 30-minute drive from Otranto. The beautiful turquoise plunge pool looks so inviting, jump in 15ft off of the cliff edge or scramble down the steps if you don’t feel so brave. The natural sinkhole is connected to the ocean and is a popular swimming spot with locals and tourists. Arrive early in the morning or later on in the afternoon to avoid the crowds in the height of the summer. Walk around the top of the pool to get some picture perfect photos of this wonderful spot. Back in Otranto be sure to visit the cathedral, found in the old town it is beautiful inside and out. Standing since the 10th century the walls are adorned with stunning works of art and the mosaic-tiled floor is incredible. You can also view the bones of Otranto’s 813 martyrs who stood up to the Turkish invasion in the 1400s. Beach time is a must in Otranto, although a bit on the pricey side, for a treat visit one of the beach Lidos. Views of the old town and harbor make this part of the beach simply blissful and the sparkling, turquoise water is calm and shallow. If you are in Puglia, Otranto is a must visit. 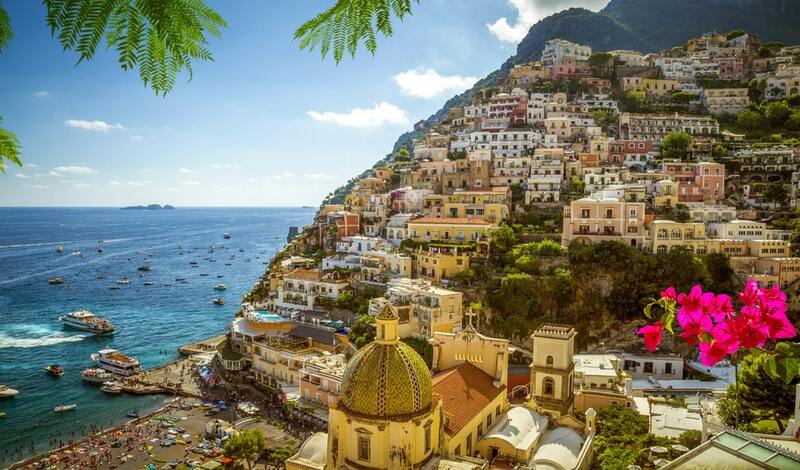 Positano is one of those impossibly picturesque Italian towns that tourists and locals flock to over the summer months. The little town is filled with colorful abodes, that appear seamless with the hills they nestle up against which makes it one of the most beautiful places in Italy. 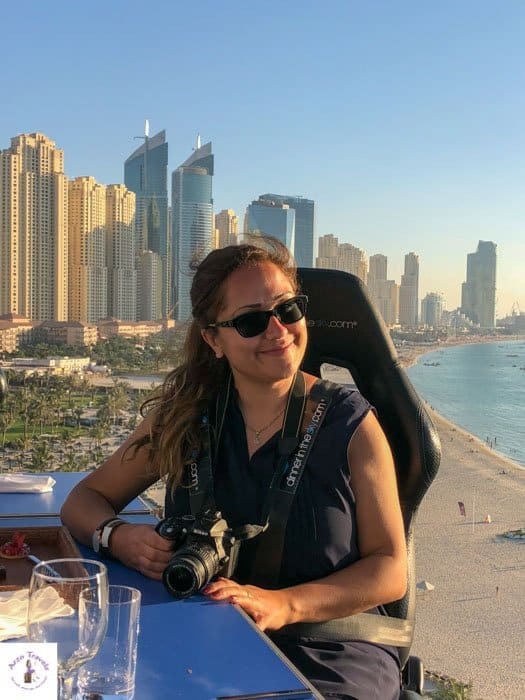 Positano is a wonderful place for solo female travelers, it’s safe, locals are friendly and it’s a beautiful place to relax and enjoy the scenery. If you plan on visiting this beautiful little seaside town, then there a few things you can do, (besides eating and drinking) whilst you are there. There are two beaches in Positano, each providing sun lounges, and a food and drinks service. Spiaggia Grande is the main and very busy beach, with the back drop of Positano’s village above. On the other hand is Fornillo Beach, a 10-minute walk along the coastal path. Fornillo is a cozier spot and has a secret beach feel as its entrance is through a small cave. The Church of Santa Maria Assunta sits right in the center of Positano. Inside you will find beautiful frescos and art dating back to medieval times, like the black Madonna. The Emerald Grotto is a small cave that gets an amazing iridescent green hue from light filtration. It’s not only famous for its emerald color but for the interesting features of the cave itself due to the stalagmites. Oddly, you can also see just below the water surface, some statues of a nativity scene. Hiking the path of gods is a great way to take in the scenery whilst enjoying a physical pursuit. The path starts in Nocelle, not far from Positano and finishes in Bomerano. The 6 km hike is over a rugged stretch of coastline and can be quite a strenuous walk. You will be rewarded for your effort though, with stunning views as you walk along. Beautiful, fascinating and able to charm the most demanding traveler, Catania is always in high demand in Sicily’s itineraries for its architecture, history and beautiful natural landscape nestled between the sea and one of Europe’s largest and most active volcanoes, Mount Etna. 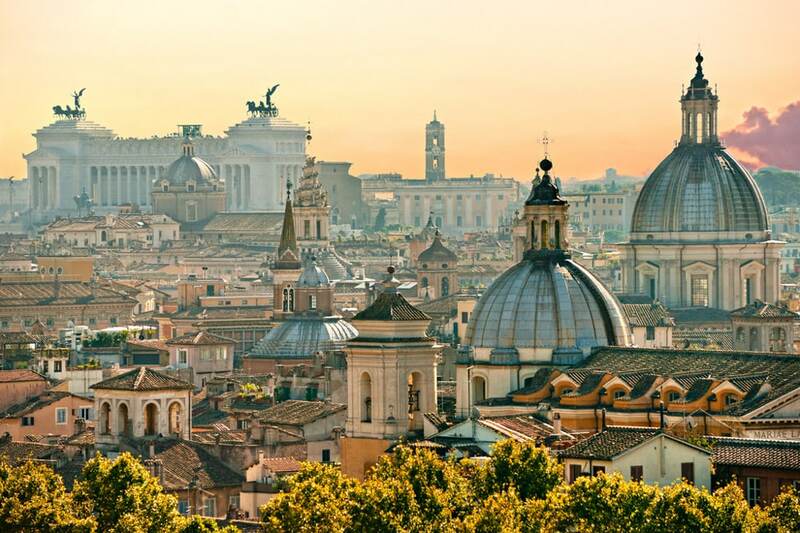 Of Roman origins, the city we see today dates back mainly to 1693. Destroyed nine times by as many earthquakes, it was rebuilt as many times, the latest being in late 17th century when a terrible earthquake razed it to the ground. Since then, Catania’s historic center has been glowing with noble palaces and churches gathered in an extraordinary architectural interplay that UNESCO enlisted among the World Heritage Sites. When in Catania, your first step must be Piazza del Duomo with “O Liotru”. Devoted to Catholic martyr Sant’Agata, the cathedral was erected on the site of ancient thermal baths and is a magnificent example of sacred Baroque architecture. Among the other things to do in Catania are to visit its colorful open markets, walking through stunning streets like the central Via Etnea, scenic road that begins from Piazza del Duomo lined with the majestic Baroque buildings of local architects Vaccarini and Battaglia, and obviously one of the many excursions to the volcano Etna organized by local guides. Being Sicily, before you leave Catania, do yourself a favor and tuck into local delicacies such as the sweet Sicilian cannoli, artisan ice cream, and the granita, a delicious semi-frozen dessert available in different flavors such as almond and pistachio. 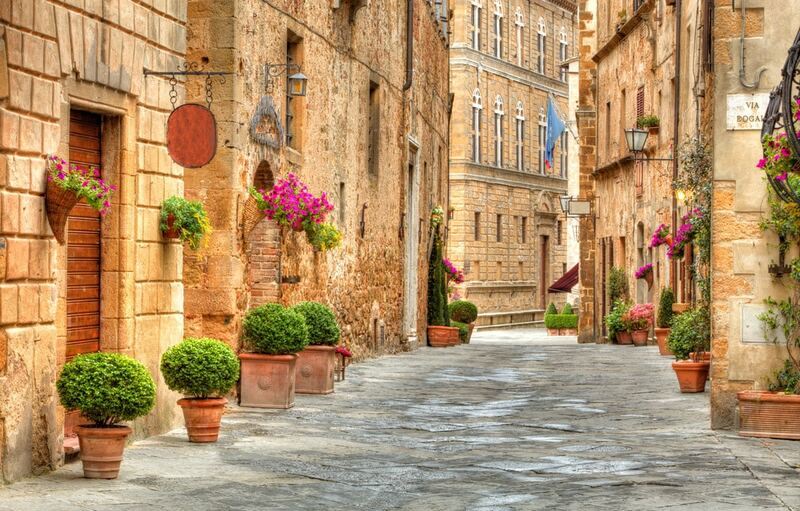 Sitting high on a hill in southern Tuscany, Pienza was designed as the ideal Renaissance city by an ambitious pope. Today Pienza is UNESCO world heritage listed and a picture-perfect town of cobbled streets and piazzas, an impressive Duomo and several grand palazzos. Shuttered windows look down on colorful flower pots lining its streets, many of which have lovelorn names like Via del Bacio (Kiss Street). The town’s strategic position overlooking the Val D’Orcia also means the views from almost every point along the city walls are spectacular. Pienza is one of those places where the best activity is to wander and soak up the atmosphere but there are a couple of must-see things to do. Palazzo Piccolomini was the home of two popes and is worth a visit to discover more about the town’s history, an impressive garden as well as the best views of the surrounding countryside. You should also take a peek inside the impressive cathedral next door. The town is well known for its pecorino cheese and many people go there just to taste and take home the celebrated sheep’s milk cheese. If you go to Pienza in the fall you can take part in the town’s annual harvest festivals. The most famous of these is the cheese rolling event in late September. It is an easy one hour drive from Siena to Pienza or just under two hours from Florence. 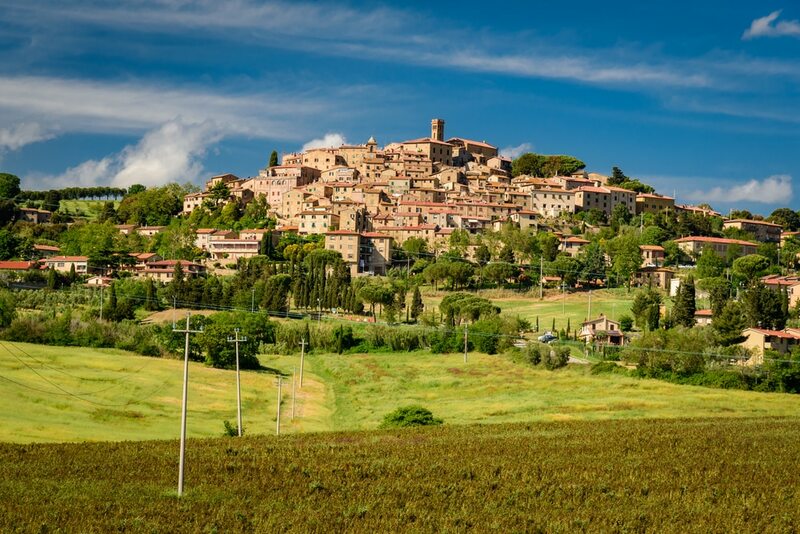 Many visitors join a tour from Siena that also stops at other famous towns in the region – Montepulciano and Montalcino. Most people just visit Pienza for the day, but once you have been there you will wish you had lingered a little longer. 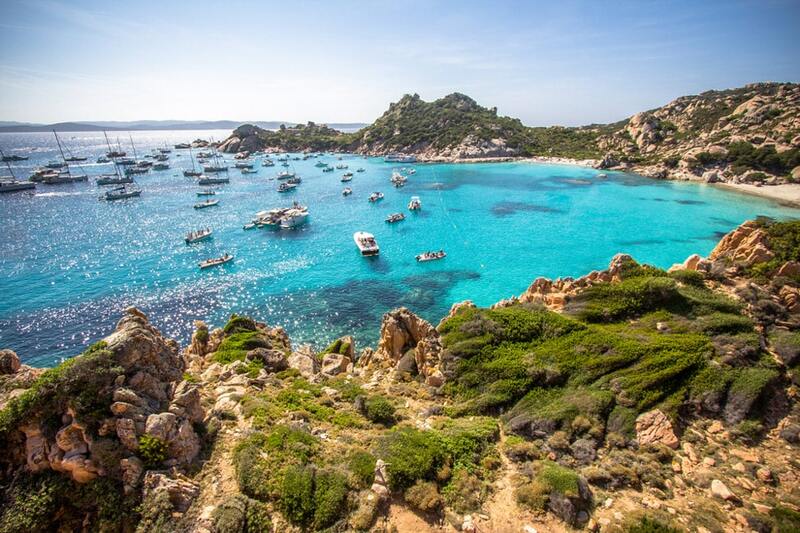 Costa Smeralda should be on everyone’s bucket list. In my opinion, it’s one of the best destinations in Italy. It’s on Sardinia which is one of the most beautiful islands in the whole Mediterranean Sea. With pristine white sand beaches and magical turquoise water, it’s a beach lovers paradise. My two favorite beaches in Costa Smeralda are Spiaggia del Grande Pevero and Spiaggia del Principe. Both beaches will take your breath away and are the ideal place to relax with friends or family (they’re kid-friendly). If you want more privacy and access to some “secret” beaches then I recommend you venture over to Baia Sardinia (about 10 mins drive) and try Spiaggia Tre Monti where a short walk via nature trails will lead you to some gorgeous little beaches with fewer people. Apart from chilling on the beach and swimming, floating or snorkeling in the sublime water, you may ask, what other things to do in Coasta Smeralda? One thing that is very interesting only 20 mins away is the ancient ruins of Nuraghe la Prisgiona. There are about 100 ruined buildings in a small village that date back to around 1000 B.C. It’s a remarkably fascinating place to visit with very nicely presented info. Another nice thing to do in Costa Smeralda is to go on a sightseeing boat tour where you can explore other islands and inlets. Lastly, if you enjoy hiking then there are some incredible hikes such as at Monte Pinu which is the highest peak in the area and offers 360-degree views. No matter how you spend your time at Costa Smeralda, you will relax and soak up the sweet island vibes making you ready to face the busy world with a fresh set of eyes. Most people who visit Italy limit themselves to the most known destination and hardly research about other places. 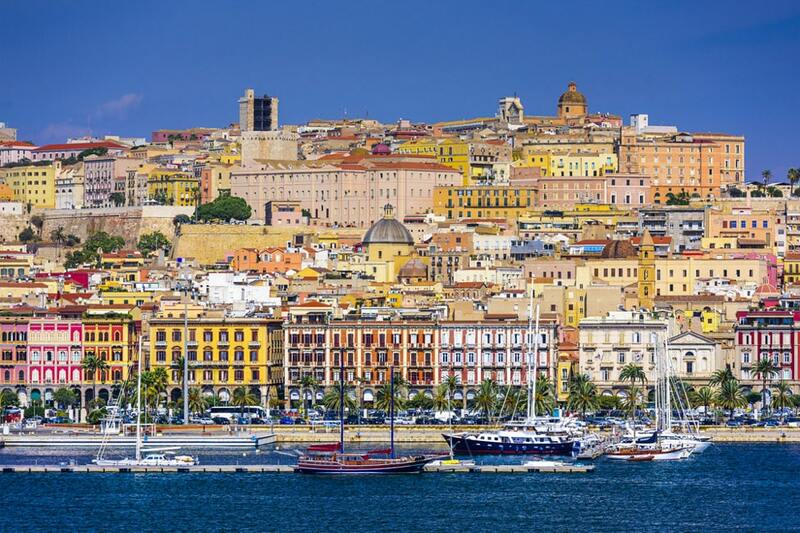 Those who make the effort of going all the way to Cagliari find themselves in a beautiful city that hasn’t been spoiled by a large number of tourists and where there is a wonderful local feel. The city itself is packed with interesting sights. The center is divided into four main quarters: La Marina, Stampace, Castello and San Giovanni. Castello is located on a hill and there are beautiful city views from here. Libarium bar and terrace is the perfect place to admire the sunset. Castello is also where Cagliari cathedral is located, as well as the three watchtowers. Porta di San Pancrazio is open to the public and visitors can go all the way to the top for a spectacular view. Not far from Castello there is a gorgeous Roman amphitheater where there occasionally are concerts in the summer months. La Marina and Stampace are the most lively areas of the center, as they are packed with restaurants and bars. San Giovanni has seen a lot of renovation in recent years and it is a great area to go for an afternoon walk and to admire the colorful buildings, as well as for shopping. Cagliari also has a few lovely beaches which are within easy reach via public transportation from the city center. A short and easy hike that starts right behind Calamosca beach and goes all the way to the Sella del Diavolo offers a splendid view of Poetto beach. Blink and you’re likely to miss the tiny medieval town of Collodi, in Pistoia, Tuscany. With the incredible Rocca Antica castle at the top of the hamlet, the village cascades down the hill to the 1700s built Villa Garzoni and its incredible gardens. It was one of the many spots that I *just* had to visit when we headed to Italy, as I imagined some of the storybook characters I loved as a child would come to life. I wasn’t disappointed. Collodi was the home of one of Italy’s most cherished writers, Carlo Lorenzini, who took the pen name Carlo Collodi in honor of the village. He was, of course, the creator of Pinocchio! If you travel to Collodi you can visit the original Pinocchio Park, a whimsical delight full of mazes, puppet theatres and an adventure route for the older kids (and adults). It is here that the story of Pinocchio comes to life (so much so that I had goosebumps). Of course, Collodi also offers more than just nostalgic gestures for its much-loved wooden boy. 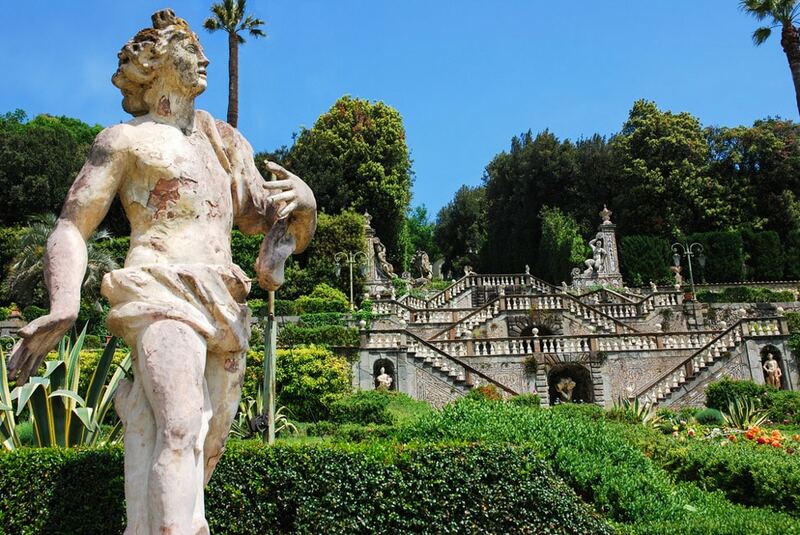 The Garzoni Garden is reputed to be one of the most beautiful gardens in the entire country and features divine flowerbeds, manicured walkways and ornamented baroque wonders that will charm you as you wander around. Here are more places to visit in Tuscany. Trieste is a city unlike any other in Italy. Tucked away in the north-eastern coast, this beautiful Italian port city straddles the border of Slovenia and sits only 45 minutes away from Croatia. It’s the perfect day trip destination from Central Europe! With beautiful beaches along the Adriatic Sea and architecture reminiscent of Vienna, Trieste has a lot to offer. 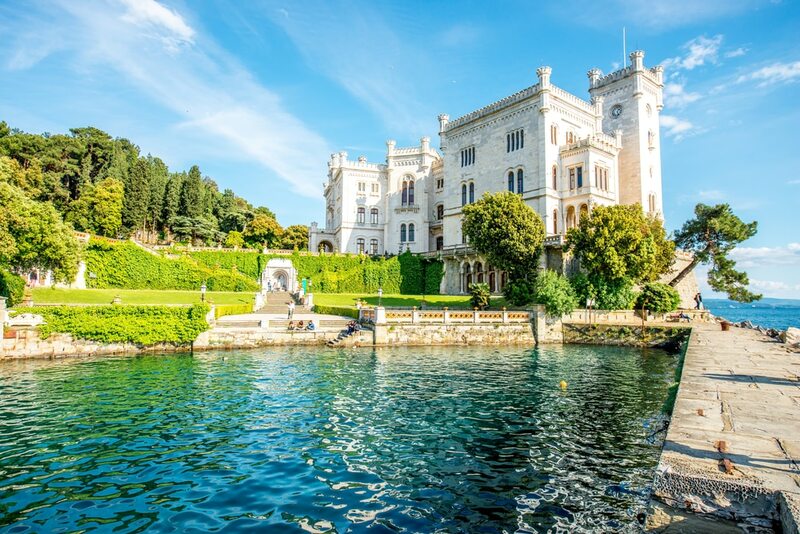 Spend a few hours wandering through the Piazza dell’Unita d’Italia, or snap a few photos of the Castello di Miramare, a beautiful white castle overlooking the sea. And learn more about the history of the area by visiting the Civico Musea della Risiera di San Sabba – an old concentration camp just outside of the city. Coffee-lovers can rest assured knowing that Trieste has some of the best java in the country. Not only is the city home to the world-famous Illy brand, but it also houses a number of literary cafes. As it turns out, Trieste was home to a number of famous Italian writers. And although Trieste looks quite beautiful in the winter with a fresh dusting of snow, the summer is when the city shines! Locals and visitors alike flock to the Lungomare, a beautiful beach promenade on the Adriatic. It’s the perfect place to swim, have a picnic and join in the party during one of the many summer festivals. Do not miss this hidden gem in Italy! The Etruscan Coast, between Livorno and Piombino, boasts the beautiful rolling hills, vineyards, olive groves, and charming villages that you probably associate with Tuscany. But the sunny, sandy beaches and ocean vistas make it even more spectacular. Though vacationers flock to the beach towns for the summer sun, and bicycle tours cycle through on a regular basis, the area still feels relatively undiscovered and uncrowded. We recommend renting an apartment at Casa Toscana, just below the hill-top village of Castagneto Carducci. The owner and host lives on the main floor of this beautiful Tuscan farm house, where she hosts cooking classes from her home kitchen. Top things to do on the Etruscan Coast include cycling from town to town or exploring the hill-top villages on foot. Along the way, you can taste world-class wines, sample freshly harvested olive oils, and enjoy locally sourced meals. Of course, the beach is another great place to enjoy, and there are several interesting historical sites – like the Etruscan acropolis ruins at Populonia. 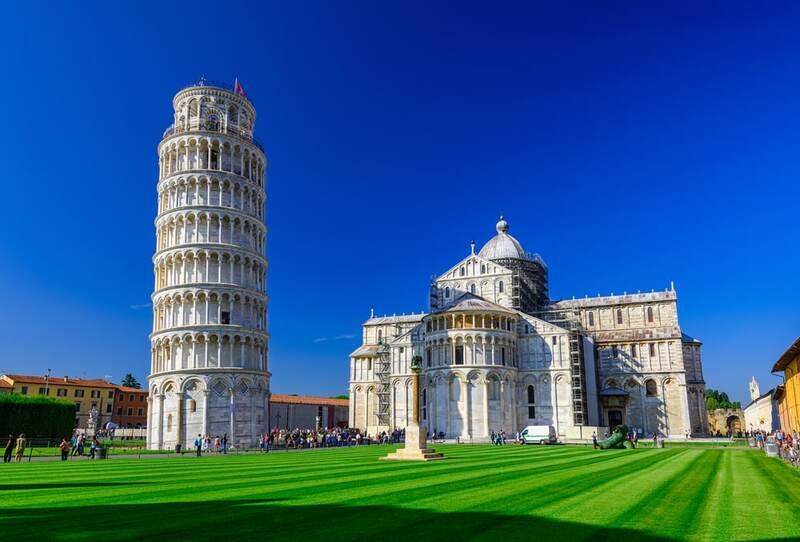 Everyone knows about the famous must see leaning tower when you visit Pisa. 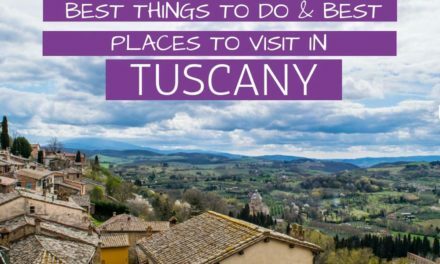 But, there are lots of other great things to see and do during your visit to the Tuscan city. The grounds of the Piazza de Miracoli where the leaning tower is located are gorgeous. And although it’s not as famous as other Italian duomos the Duomo de Pisa is gorgeous as well. You should also make sure to admire the impressive architecture of the Battistero. It’s possible during your visit to hear singers on the inside, showing off the impressive acoustics of the building. As you’re strolling around the city be sure to make your way through Sant’Antonio square and look for the huge mural by Keith Haring known as “Tuttomondo”. Its one of the hidden gems found in Pisa! Also, make sure to stroll along the Ponte di Mezzo for impressive views of the famous river Arno. Many people miss Pisa during their Italian vacations but there’s plenty to see and do and definitely worth your time. If I had to name my favorite city in Italy, the place I would like to live, then it would be Verona. For some reasons, no blog post and no picture prepared me for the beauty of this city. And so I just planned in one day in Verona which I still regret – Verona has it all. Small and easily walkable but still stuffed with amazing attractions and beautiful places…Yes, Verona is a beauty and one of the places to add on every Northern Italy itinerary. 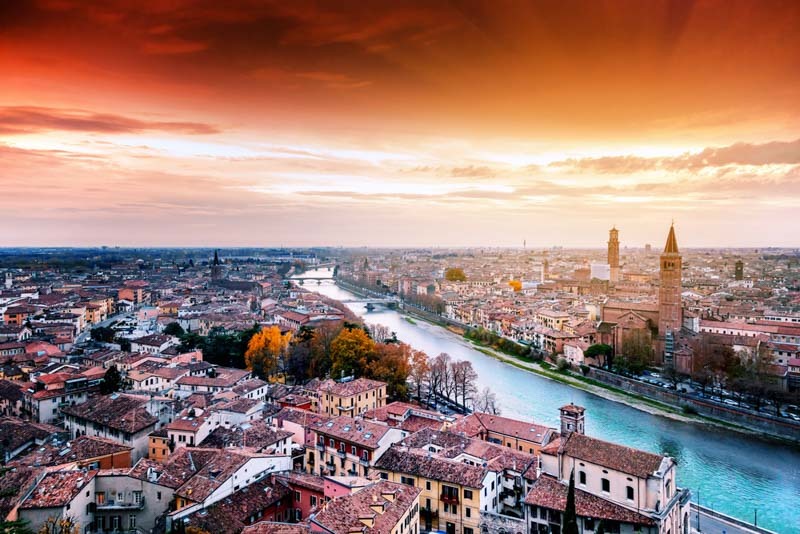 No words and pictures can describe my crush – however, for more info, just head to my one-day Verona itinerary. Last but not least…. in this post. Could a list about “The Best Places to See in Italy” be complete without Rome in it? I highly doubt it. Though I feel that Rome does not need a lot of description, I cannot help but still offer a few words on beautiful Rome. History combined with charm. Rome does more than just present ancient history – visiting Rome will be fun and exciting. The Colosseum, the Spanish Steps, the Trevi Fountain – these are just some of the amazing sights Rome is home to and which you have to check out. Lovely and lively quarters, like Trastevere, are just some of the reasons to put Rome at the top of your bucket list. In addition, in this post. 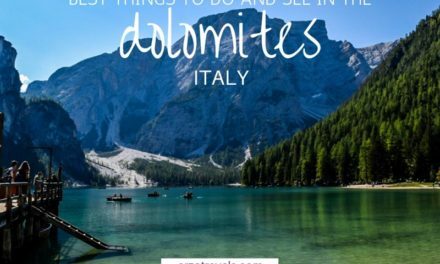 is just a stone’s throw away (well, actually, the mini-state is located in the middle of Rome), and so a day trip to a different country is simple! Read about a “Rome 2-day itinerary” in this post. Looking for some more off-the-beaten-path-places in Italy? Then check out my post with the most underrated places in Italy. P.S. We hope, this posts helps you to find the perfect destination in Italy for our Italy trip. As you can see, I have added tour recommendations. I personally love GetYourGuide and book my tours for activities mostly via them. If you do not know them yet, give them a try, they are great. Which of the places have you put on your Italy bucket list?